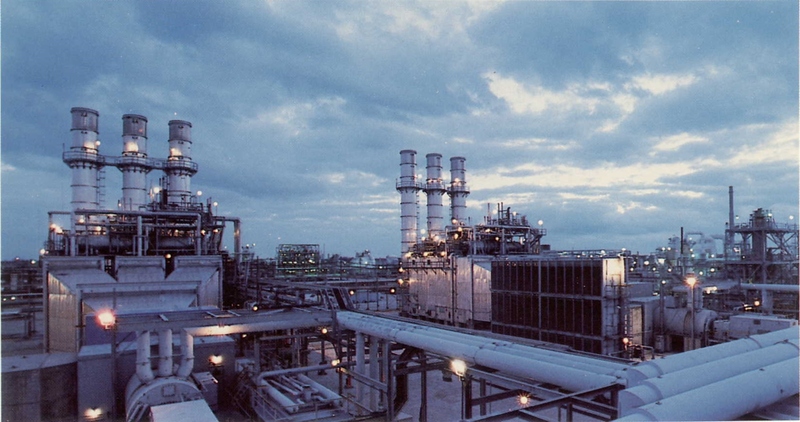 Dow Chemical Company's Westinghouse 501D5 (W501D5) gas turbines in Plaquemine, Louisiana. 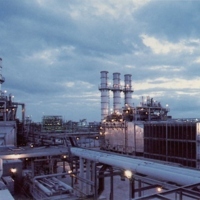 In 1987, two W501D5 gas turbines at this plant operated on synthetic gas from coal as part of the largest integrated gasification combined-cycle plant in the world. This photograph was taken during the U.S. Department of Energy (DOE), which lasted until the mid-1990s. There is no known copyright for this resource, which is provided here by RICHES of Central Florida for educational purposes only. “Dow Chemical Company's Westinghouse 501D5 Gas Turbines.” RICHES of Central Florida accessed April 26, 2019, https://richesmi.cah.ucf.edu/omeka/items/show/7749.